The intuitive software key functions provide easy and fast operation to control the multiple functions of the IC-M506. The bottom line of the dot-matrix display shows the software key functions which can be toggled with the left and right buttons. This product comes complete with a simple plastic flush mount kit. Stainless steel flush mount kits are available as an option. 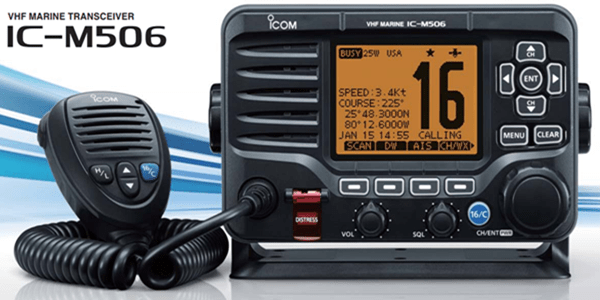 With an integrated AIS receiver, the IC-M506 can show real-time AIS vessel traffic information on the display. 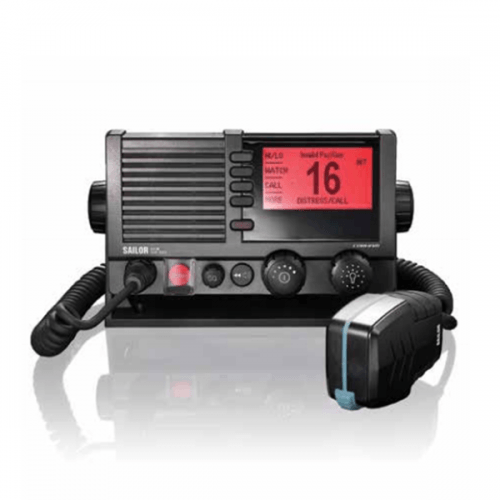 The AIS target call function allows you to easily set up a DSC individual call. The Plotter, Target list and Danger list can be toggled on the display. With the plug-and-play functionality of NMEA 2000, the IC-M506 can easily connect to a NMEA 2000 network. The ICM506 can receive and transmit GPS (position, course (COG) and speed (SOG)), AIS report and DSC call information data and transmit radio frequency and PGN list data on the network. Using this function, the IC-M506 can convert NMEA 0183 GPS data to NMEA 2000 data for other equipment. 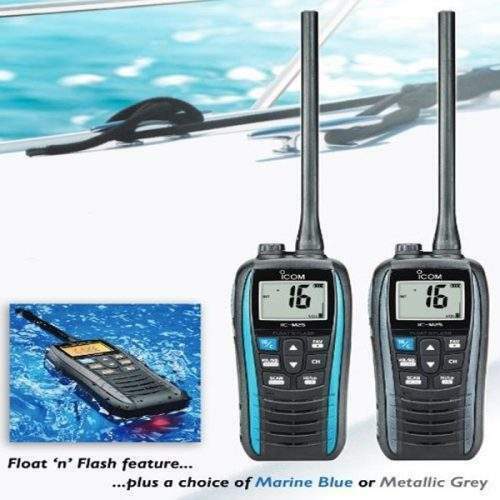 When connected to the optional horn speaker, SP-37, you can talk with crews on the deck or shore from the radio’s microphone and can hear any reply via the horn speaker. 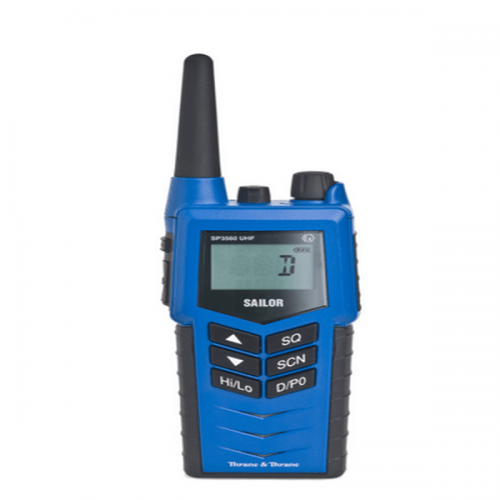 The RX hailer function allows you to monitor the received audio from the horn speaker. The built-in 25 W amplifier increases your talk power, making it loud and clear. 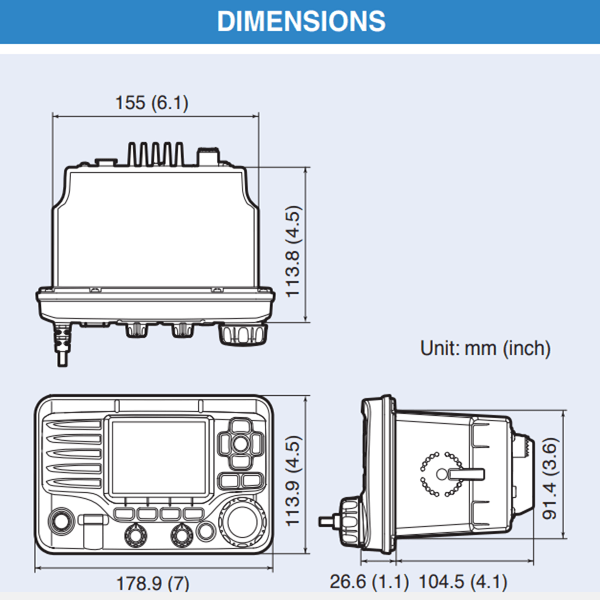 When connected to the optional horn speaker, SP-37, four horn patterns are selectable for the automatic horn function. 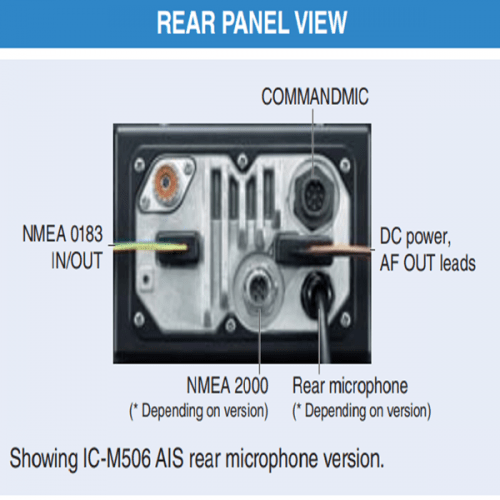 With this version, the microphone connector is drawn from the rear panel of the \class D VHF and a 6.1m (20ft) microphone extension cable is supplied to allow you clean and neat panel installation.